CLOSEOUTS. 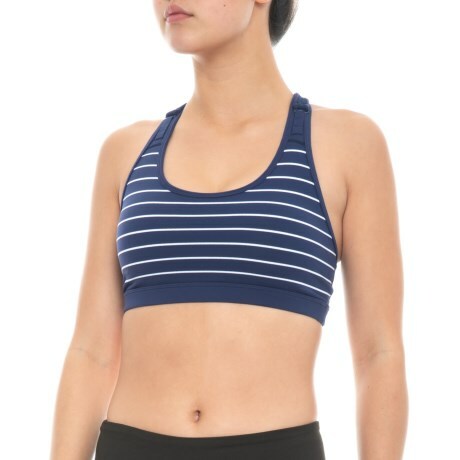 This Lorna Jane Adventure sports bra provides moisture-wicking comfort and compression support for all kinds of athletic pursuits. Available Colors: NAVY. Sizes: XS, S, L.